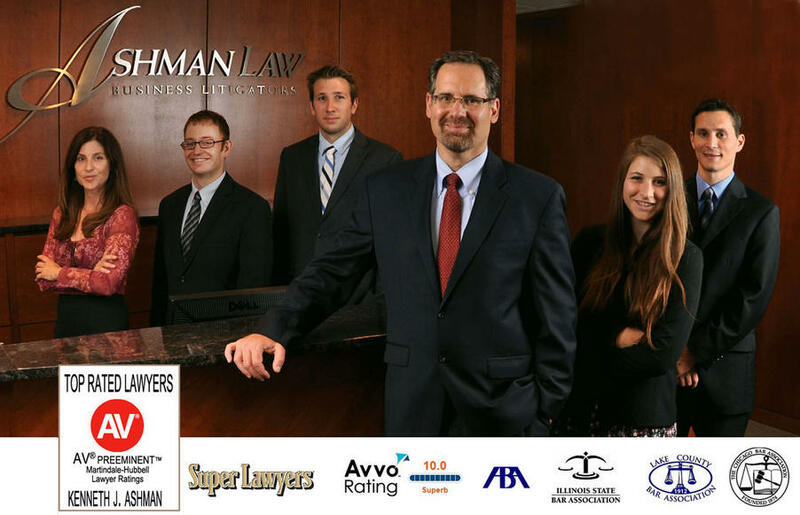 ASHMAN LAW OFFICES, LLC, Member: Founding member of AV-rated business law and litigation boutique concentrating in complex commercial and business litigation; securities and commodities litigation; corporate transactions; class actions; civil rights; shareholder, partnership and employment disputes; insurance litigation; corporate counseling and internal corporate investigations; and Foreign Corrupt Practices Act litigation and counseling. Office locations in Chicago, New York, and Lincolnshire, Illinois. August 2001 to present. UNIVERSITY OF PHOENIX, Instructor: Business Law instructor to MBA students and undergraduates in traditional classroom setting. October 2011 to present. ASHMAN & GRIFFIN, LLC, Member: Founding member of Chicago- and New York-based law firm, concentrating in complex commercial and business litigation; class actions; securities and commodities litigation; insurance litigation; civil rights; shareholder, partnership and employment disputes; corporate counseling and internal corporate investigations; and Foreign Corrupt Practices Act litigation and counseling. July 1997 to August 2001. LEBOEUF, LAMB, GREENE & MACRAE, L.L.P., Litigator: Served as senior litigation associate managing, strategizing and overseeing complex commercial and business litigation, including the defense of life insurance companies in class action lawsuits alleging, among other claims, fraud, breach of contract, and statutory causes of action arising out of the sale of life insurance and annuity products. November 1995 to July 1997. HONORABLE FREDERIC BLOCK, United States District Judge, E.D.N.Y., Law Clerk: Duties include drafting judicial decisions and orders; selecting civil juries; performing legal research and rendering legal advice; assisting in civil and criminal trials; conducting civil conferences; drafting jury charges; participating in settlement conferences; and managing case load. November 1994 to November 1995. WEIL, GOTSHAL & MANGES, LLP, Business & Securities Litigator: Experienced or participated in virtually all phases of litigation. Represented corporate and individual clients in federal securities litigations, white collar criminal matters, breach of contract actions and governmental investigations, among other matters. Pro bono counsel to commodities fraud defendant in administrative disciplinary proceeding. October 1990 to November 1994. KECK MAHIN & CATE, Summer Associate: Researched and drafted memoranda for one of Chicago’s formerly largest firms on issues relating to state sales and use taxes, civil RICO and the husband-wife privilege. May 1989 to August 1989.